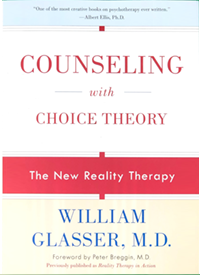 In this engaging book, Dr. Glasser updates his 1965 bestseller, Reality Therapy. 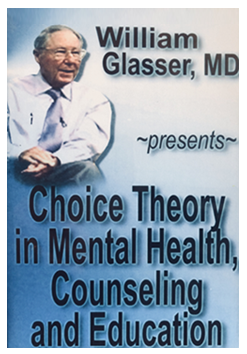 As a collection of case studies, by weaving narrative and dialogue throughout a variety of insightful and often entertaining therapy sessions, Dr. Glasser shows how Reality Therapy and Choice Theory psychology are so linked that, in practice, it is impossible to separate one from the other. 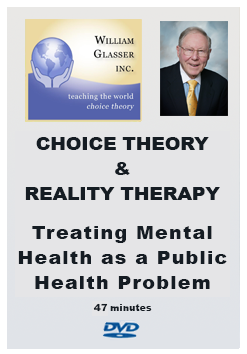 This companion volume to Choice Theory psychology is very helpful for anyone in human services professions. (This is the re-titled paperback edition of Reality Therapy in Action). 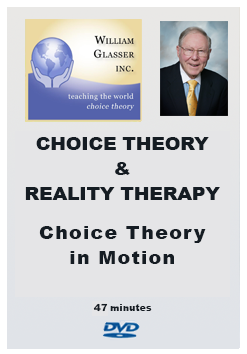 “… it is what you choose to do in a relationship, not what others choose to do, that is the heart of reality therapy. In the movie As Good as it Gets, the lead character, Melvin Udall, portrayed by Jack Nicolson, is a textbook illustration of what is known as the mental illness obsessive-compulsive disorder, over which he has no control. But, following choice theory, I do not believe that Melvin is suffering from a mental illness or that he has no control over what he is doing. I believe he is choosing to obsess and compulse to deal with what is so obvious from the beginning of the film: He has no satisfying close relationships. To have any chance to lead a rewarding life, he, like all of us, needs at least one satisfying relationship. 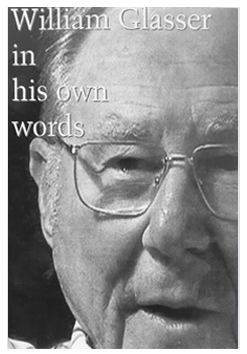 When we fail in the effort to connect with other people, as Melvin surely has, we suffer because the need to do so is as much built into our genes as the need to survive.” – William Glasser, M.D.